At the 2013 Frankfurt Motor Show, Nissan introduced its e-NV200 - electric van in taxi version - that will be included in Barcelona's fleet. 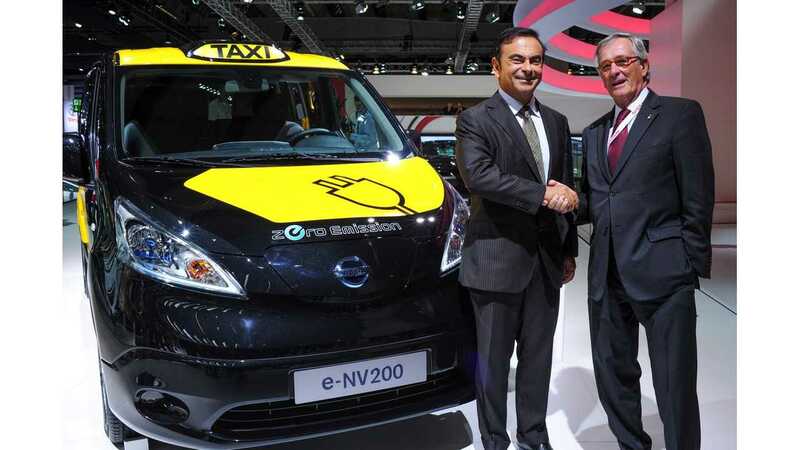 The electric taxi was presented by Nissan President and CEO Carlos Ghosn, in the presence of the Barcelona Mayor, Xavier Trias. 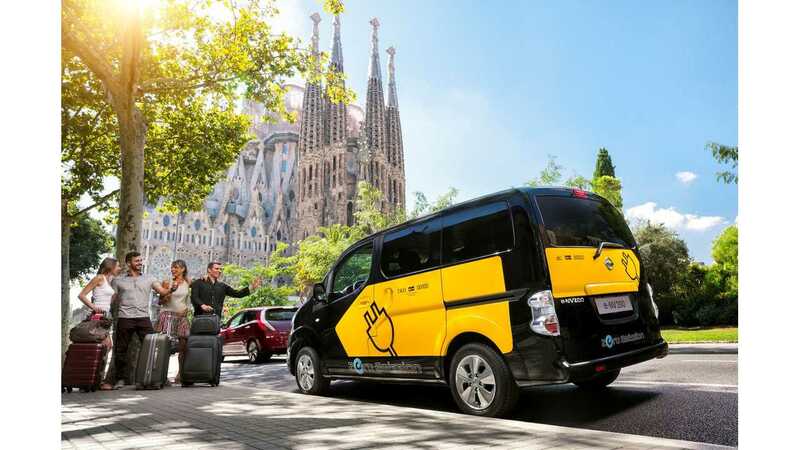 Barcelona will be the first city in the world to implement the e-NV200 taxi in public transport, after it enters production in mid-2014 in the Zona Franca area of Barcelona. Nissan is investing 100 million euros and will create over 700 new jobs locally in Barcelona, so it will become the single global manufacturing plant for the e-NV200 and those vehicles will be exported worldwide. e-NV200 will be the second electric from the Nissan brand, available in delivery and passenger versions, with a LEAF drivetrain. 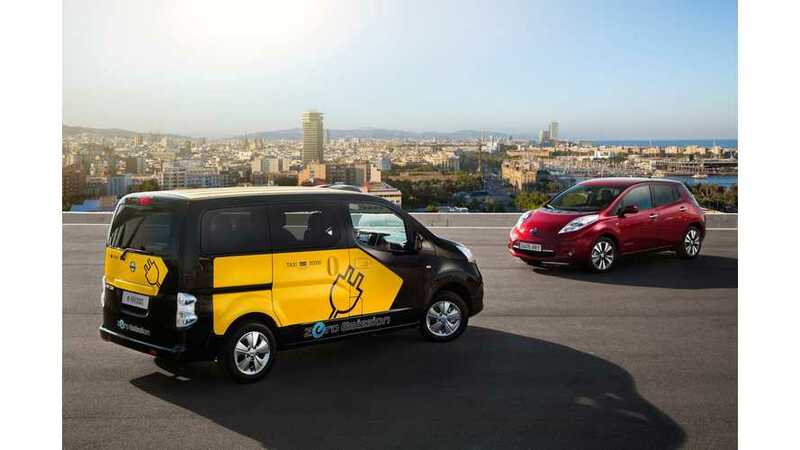 "We applaud Barcelona city for making this clear commitment to integrating the revolutionary Nissan e-NV200 electric vehicle into the city's taxi fleet. We are delighted that the city where we will build this new vehicle is leading the way in promoting clean transportation for the benefit for all its citizens and visitors. The e-NV200 is a revolutionary product that will make zero emission taxis and goods delivery vehicles a reality in cities across the globe from next year. " "Nissan will contribute to installation of the necessary charging infrastructure for the city by providing CHAdeMO quick chargers. The Nissan-designed chargers can recharge any compatible electric vehicle from 0-80% battery in just 30 minutes. 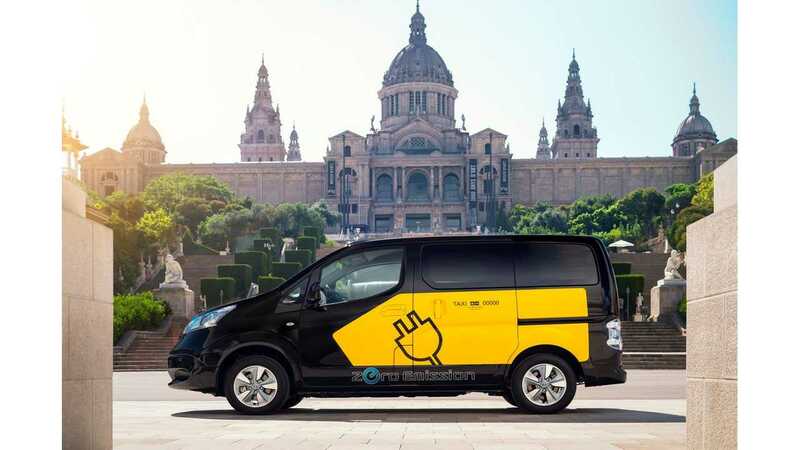 Barcelona City Hall and the Metropolitan Area of Barcelona will install these quick chargers across the city to create a network for taxi drivers and others to quickly "refuel". These quick charger are part of the over 1,200 planned to be installed across Europe by March 2014." "As part of the agreement the City Council is committed to provide specific places for loading and unloading goods and to enable electric vehicle charging points, as well as promoting a specific identification for electric vehicles. They will also consider the creation of goods delivering zones and schedules exclusively for zero-emission vehicles and to introduce tax cuts such as reducing business taxes to companies with fleets of electric vehicles."